A stunning, multi-dimensional sculpture, modeled using traditional polygonal modeling techniques in 3dsmax from an 8-point tetrahedron primitive. 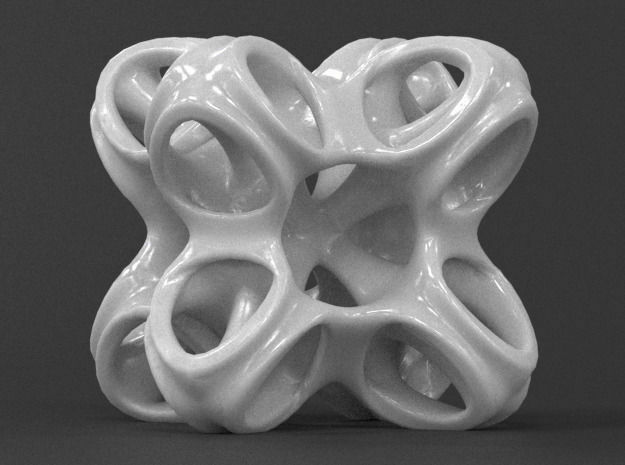 Makes an interesting desktop showpiece, and an excellent addition to any Math Art or 3D print collection! *Maker tutorial for 3dsmax and Blender available for this model.